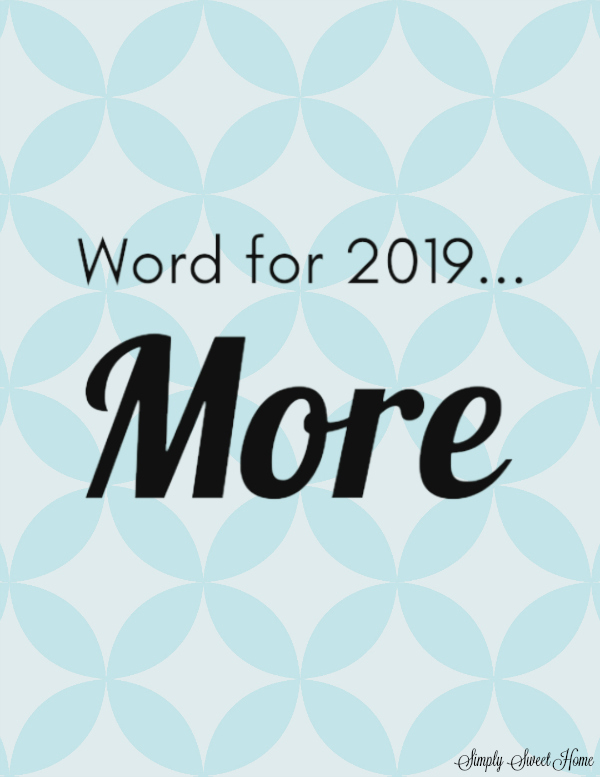 Do you have a “word for 2016” A word? Yes, a word! A few years ago, I first learned about the word of the year concept. I think of it as a one-word resolution. Your word can be anything. It can be a one-word goal you have for yourself, a feeling or emotion that you want to feel in the new year, an action you want to perform in the new year, and above all just anything that you want to have as a priority in your life for the year. Today I’m going to talk a little bit about that. Welcome to Simply Sweet Home! I’m so excited to be participating in Ultimate Blog Party at 5 Minutes for Mom. I’ve been joining this event each year since 2008, and it always a fun time for one and all! For those of you who are stopping in from the party, my name is Jerri. I’ve been blogging here at Simply Sweet Home since 2007. This blog features recipes, product reviews, giveaways, craft/decor projects, and basically anything else I can think of to help make your home a “simply sweet” home! I also host a weekly linky party called Friday Favorites, where you can share your recipes, projects, or anything else you like! For those of you who do not know, there’s a party starting later this week! (April 13 to be exact!) 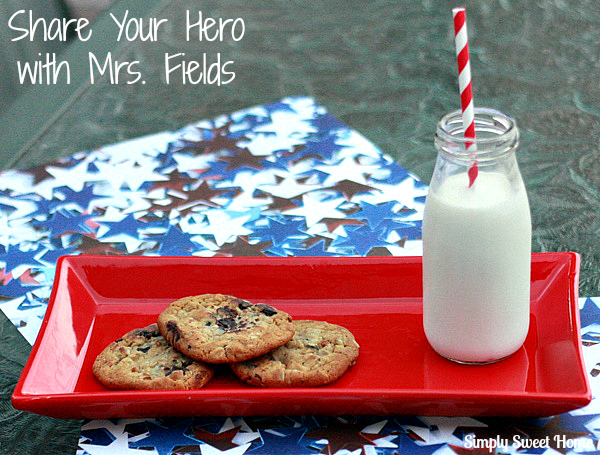 Each year the Ultimate Blog Party is hosted by 5 Minutes for Mom. It’s time to get your party on at the Ultimate Blog Party hosted by the lovely ladies of 5 Minutes for Mom. This is my 4th year to “attend” the UBP (my how time flies! ), and it’s always great fun for one and all! If you’re new to blogging or unfamiliar with the party, go check it out! If you’re visiting from the UBP, welcome to Simply Sweet Home! My name is Jerri, and I’ve been blogging here for three and half years. The goal of my blog is to share recipes, ideas, and products that can help make your home a simply sweet home! Wednesday – Craft Project / Home Decor / Jewelry / Misc. I’d love for you to come back and join in my weekly linky party! I’ve been hosting Friday Favorites for 57 weeks, and each week we have 100+ posts linked up. You can link up recipes, project, tips, etc.—-basically anything you consider to be your favorite post for the week. 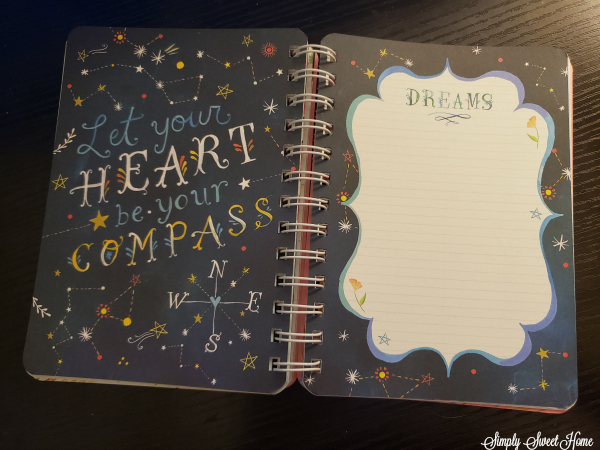 And each week I feature 5 of my favorite ideas from the previous week! SSH Fan Page on Facebook. Subscribe to my RSS Feeds. Subscribe to my weekly email newsletter. And I’m now on Pininterest! I also have a shop on etsy called Simply Sweet Creations where I sell jewelry and accessories. This week I’m offering a 15% discount to blog party guests! Just enter the coupon code: UBP11 at checkout! Don’t leave without having a little dessert! 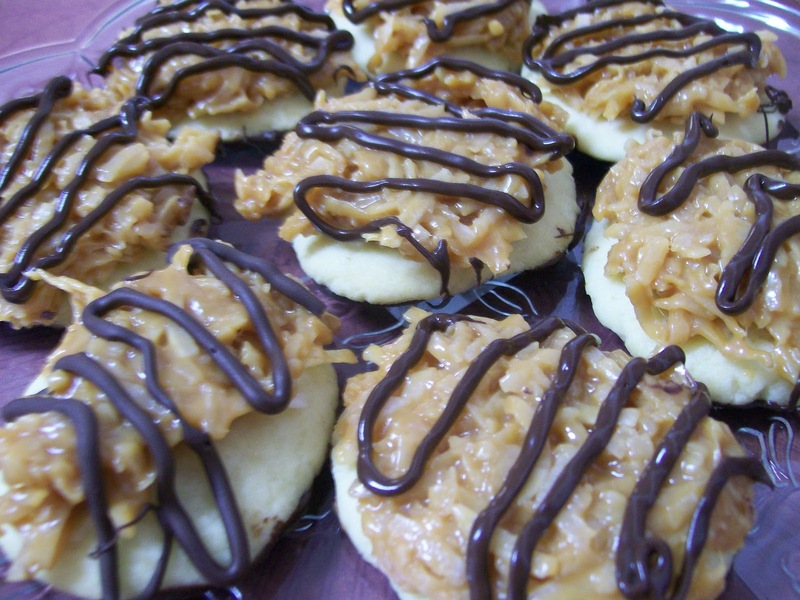 Today I have some Samoa Cookies for you! Thanks so much for stopping by! Please leave a comment so that I can come and visit you too! Last year I created a list of goals for 2009 with mixed results. My husband getting laid off from his job prevented us from doing a lot of the home improvement projects I wanted to do, although we did manage to get a couple of things accomplished. 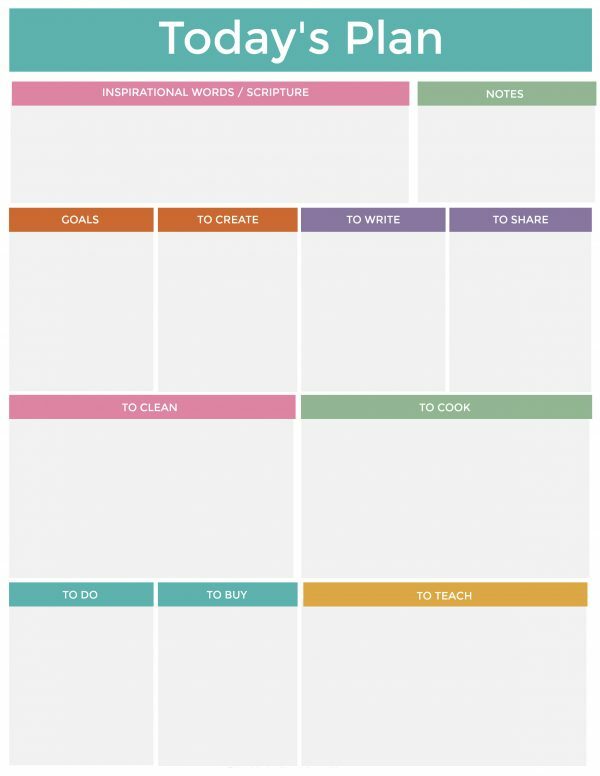 For this year my goal is to come up with a regular schedule for household chores–nothing too exact–just a basic schedule of what I want to get done each week. And I also need to go through the entire house to do some assessing, reorganizing, and general maintenance. Again the whole lay off thing prevented us from reaching our financial goals of paying off some debts last year. So we’re going to try again this year. One goal we have for our business this year is to set up scheduled time. In the past, we haven’t kept a regular schedule, so for this year we need more consistency. And we also have a goal to set up at least one regularly scheduled meeting at our home or another location each week. I did well with my goal of making at least one new recipe each month, and some months I was able to do more than one. I will try to continue on with this goal in 2010 because I love cooking, and I love discovering new favorite recipes for our family. Also, I’ve gotten out of my meal planning habit, though I’ve managed to get back on it in the last few weeks. So this year I need to work on this more. My husband was recently diagnosed with diabetes, so this makes my need to meal plan a lot more crucial. And due to his condition, he was placed on a diet, which doesn’t depend so much on restricting foods as it does on restricting portion sizes, carbs, and calories, so this year I’ll be working on sticking to the diet that the dietitian has given my husband. And I also need to work on my own diet and take vitamins. My husband has set some diet, excercise, and weight loss goals for himself. So I’m going to try to help him (and help myself) by exercising with him and doing some excercise on my own. My husband plans on exercising 5 times a week, so I’m going to shoot for 3 times for myself. Last year I started making jewelry. I had planned on opening a shop a few months ago, but I never got around to it. So this year it’s going to happen for sure! I also want to try my hand at a couple of other craft projects this year, I have several different things in mind, one of which is mod podge. I’m always seeing the cutest decor projects made with that stuff. And then there are a lot of other things as well. As I look at the blog, I think it lacks cohesion and is a bit unpredictable, so I’m thinking of trying something new for this year. Just as I do my recipe at the beginning of each week, I’m going to try to do regular features for the rest of the week. I’ve sorta tried to do this in the past, but I just didn’t stick with it. So now I’m giving it another go. I also need to have scheduled blogging time. I often get on the computer for hours at a time and have no idea where the time goes or what I’ve even accomplished. 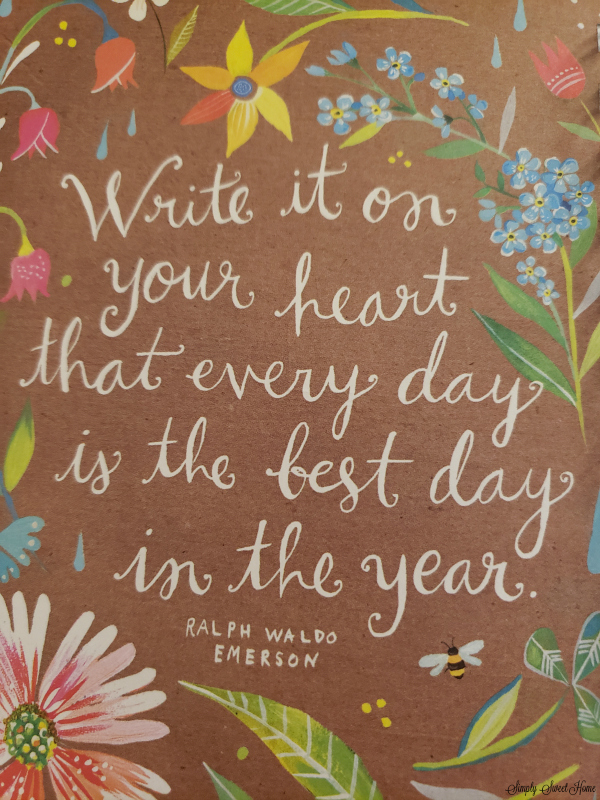 So this year, I’m going to try to keep better track of what I’m doing with my time and to be more consistent with posting, commenting, twittering, etc. In the past few months we’ve started going to a new church, and each week my husband and I discuss the lessons and sermons together. We want to continue with this in the new year and also work toward having a better relationship and just being better people. Happy New Year! And Good Luck With Your Goals & Resolutions! For this week’s blog hop everyone is telling readers why their blog is worth reading. So here’s a few fast facts about Simply Sweet Home, and why you should come here ALL time! 1. Recipes – I always post a featured Recipe of the Week, and sometimes I post additional recipes or recipe links for you to check out. 2. Sweet Thursday – Each month I host a dessert carnival, complete with yummy looking photos and links. At the time of the carnival I announce a theme for the next month, and you can submit your dessert and be featured in the next carnival. 4. Tips & Ideas – I post on a lot of ideas for home and family, including organizing tips, home decor, party planning, crafts, and money saving. 6. Special Events – From time to time I host special events on my blog. In December I’ll be hosting my 2nd Annual Christmas Festival. 7. I strive to make Simply Sweet Home a fun and informative place for everyone. I’ve been blogging here for 2 years, and though the topics may vary from week to week, the goal is still the same: Sharing ideas on how to create a Simply Sweet Home! I’ve decided to participate in the Mcklinky blog hop. I’ve seen a few blogs that I visit participating, and I thought it would be fun to try it out. If I enjoy it, I may even make it a permanant weekly feature here. 3. I love collecting things! Some of the things I collect are mice figurines/ornaments, Hallmark ornaments, dolls, bears/animals (especially Beanie Babies), and antiques. I also have a China cabinet filled with figurines and other little treasures that I’ve collected over the years. Camera Critters has a very cute meme every Saturday. Since I’m obsessed with always taking pictures of our cats, I thought it would be fun to partcipate sometimes. For this post, I’m sharing some pictures of one of my office assistants, Miss Dixie Belle. Anytime I’m at my computer, I usually have an office assisant cat nearby. Here is Dixie sitting at her my desk. Do you think she knows she’s having her picture taken? As you can see, she is very sophisticated. Here she is checking to see that her named is spelled correctly. Here she is relaxing while pondering our latest post. And here she writing a post or perhaps it’s a letter to the editor, explaining why she should get a raise.